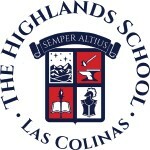 Scott Messer was named Director of Operations at The Highlands School in November 2012. Prior to that he served as Owner/Consultant at Scott Messer Consulting where he provided financial consulting services to several companies including as the Director of Finance for The Sixth Floor Museum. He retired from The Highlands School in March 2017. Messer was named vice president / finance of The Dallas Morning News in January 2008. Since December 2000 he had served as vice president and controller of The News . He also had served as director of corporate applications of Belo Corp. since 1997. Messer began his Belo career in 1978 and served in various accounting positions at The Dallas Morning News . In 1990 he was named accounting director and in 1992 was promoted to controller. Messer was named accounting director for parent company Belo in 1993. In 1995 he was named Belo’s director of systems planning and development, overseeing business system applications for Belo’s newspaper and TV groups. 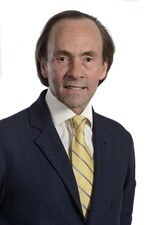 Messer has served as president of the International Newspaper Financial Executives (INFE) and also as chairman of that organization’s Media Advisory Credit Services subsidiary. Messer also has served on several committees of the Broadcast Cable Financial Management Association (BCFM). Messer graduated from the University of Texas at Dallas and holds a B.S. degree in Accounting. Messer is married to Barbara Messer and has three children: Jennifer, Andrea, and Brian and three grand-children. 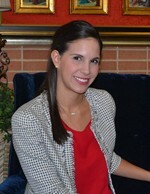 A native of Dallas, I was educated in Dallas public schools and attended SMU as an Alumni Scholar graduating with a BA in English and Psychology. Before starting a family, I taught English at Richardson High School and spent a summer as a Classics Fellow through the National Endowment of the Humanities. I returned to teaching at Mount St. Michael Catholic School when family responsibilities allowed and am presently teaching 7th and 8th Language Arts three days a week. My husband Don and I have five children, two of whom graduated from Highland Park High School, one from Cistercian and two from THS, classes of 2016 and 2017. We are both graduates of the University of Dallas Biblical School and are active members of St. Thomas Aquinas Catholic Church. We enjoy reading, hiking and traveling. Randy is a senior executive with over thirty years of professional services experience with Accenture. He has worked with premier clients across the globe and in a variety of industries: global retailers, consumer products and life sciences companies, and a large federal government agency providing strategy, operational excellence, IT transformation and delivering enterprise wide organizational change. Randy brings a rigor and intellectual curiosity to each new challenge. He is a highly-involved leader who is not afraid to roll up his sleeves and is comfortable at every level of an engagement from the operations floor to the C-Suite. Randy’s analytical, listen first approach provides his clients and his teams with the inclusion necessary to move with certainty through complex business transformations. He is calm and steady in the most stress-filled environments and under demanding timelines. His commitment to his teams and his clients has earned him the loyalty of his colleagues and resulted in deep long term relationships with his clients. As the Client Account Lead for a large consumer products company, Randy and his team faced global challenges and tight delivery time frames. They delivered a long-term IT Strategy to produce companywide innovation shaping digital strategy using data analytics to enhance consumer experience and store technology management. In an engagement to stand up a large Federal Agency, the pressures were intense and the risks were quite real. Into this setting, Randy brought balance, judgement and a willingness to think about old and new problems differently. He and his team developed and delivered original business and technology capabilities that refined and scaled the agency’s mission capabilities. Randy stays above the noise and the politics. Instead, he focuses on the people, the process and the outcome. Internally, for Accenture, Randy was a key man in several internal operations and new service offerings to keep Accenture at the cutting edge and profitable. He led the Global Partner Model Transformation and the Global Resources Operating Unit Change Management organization. Randy was also part of the North America Leadership Team as well as teaching at Accenture’s Center for Professional Development. As the Managing Director of the Accenture Dallas office he was responsible for over 2000 professionals and had direct oversight of the company’s corporate citizenship efforts in the region. Randy is equally committed and passionate to his family and community. 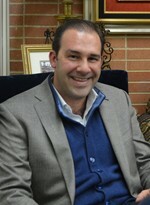 He serves the Board of the Children’s Medical Center Foundation and serves as an Advisor at the Catholic Foundation. Randy has assisted in public policy and advocacy at both the state and federal levels. Randy is an Executive in Residence at the University of Dallas providing mentoring and guest lecturing to juniors and seniors in the business school. In these, as in his professional involvement he provides leadership, direction and a strong back. He is a graduate of the University of Wisconsin-Whitewater and holds a BBA in Management Computer Systems and in Accounting. Randy resides in Dallas with his wife and three daughters.